The European Union is to double its funding for a joint African military force to fight jihadists in the Sahel region with a 50-million-euro boost, EU sources said Wednesday. The bloc is expected to announce the new money for the G5 Sahel force, grouping Burkina Faso, Chad, Mali, Mauritania and Niger, at talks in Brussels on Friday which will be attended by French President Emmanuel Macron and German Chancellor Angela Merkel. The move comes as a surge in rebel attacks has underscored the challenge facing the five countries, among the poorest in the world, which are on the frontline of a war against Islamist militants. Ambassadors from the 28 EU member states gave their approval for the funding on Tuesday, two European diplomats told AFP, adding to the 50 million euros ($62 million) Brussels provided in June to help set up the force. More than $350 million has already been pledged for the G5 Sahel force but more is needed to help it reach its target of 5,000 properly trained and equipped troops to patrol hotspots and restore authority in lawless areas. Highlighting the fraught security situation, two French soldiers were killed and another was wounded when their armoured vehicle hit a mine in Mali, a French military source said on Wednesday. 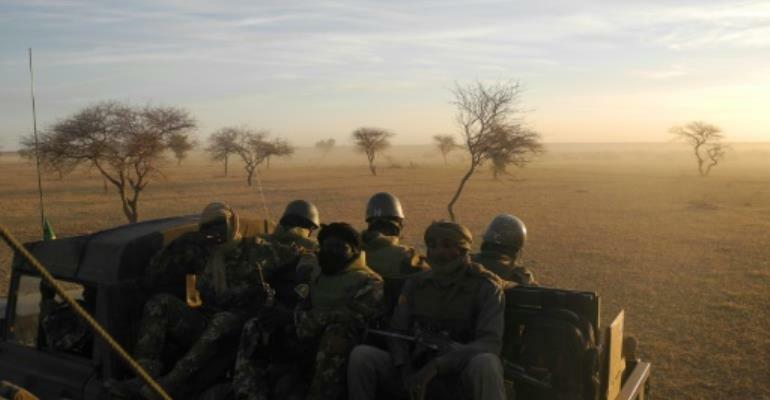 The force has so far set up a headquarters and command structure and carried out two operations, with French support, in the troubled "tri-border" area where Mali, Niger and Burkina Faso meet. Intended to become fully operational in mid-2018, the G5 Sahel force operates alongside France's 4,000 troops in the area and the UN's 12,000-strong MINUSMA peacekeeping operation in Mali. "We expect in 2018 that we will be delivering more in terms of body armour, counter-IED materiel, trucks and even a hospital which will be built, we think, in Mali later this year," an EU official said. Friday's conference in Brussels aims to secure more international funding for the force. Donations so far have been led by Saudi Arabia, which has given 100 million euros.